Tony Holmes - Clipstone Colliery, did the locos come out when the pit closed? 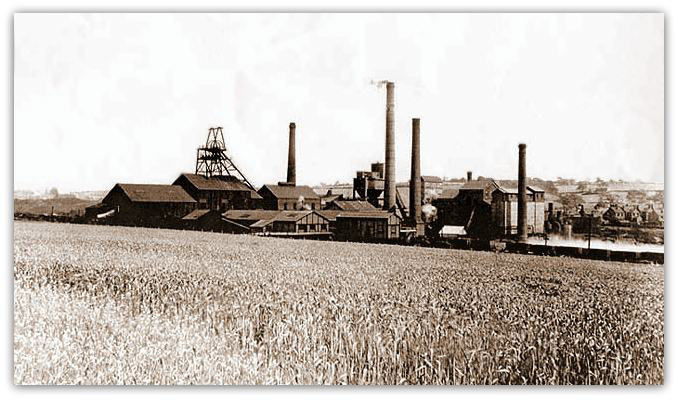 Clipstone Colliery, did the locos come out when the pit closed? the pit closed, or were they left in along with other equipment? probably still are, of a design called 'Indirect Koepe' Winding (pronounced COPEE, it is a German name) . one, one Sunday morning to take some photos. Unfortunately, we never seemed to get it together. well worth seeing. One could probably see Boston Stump!!!! 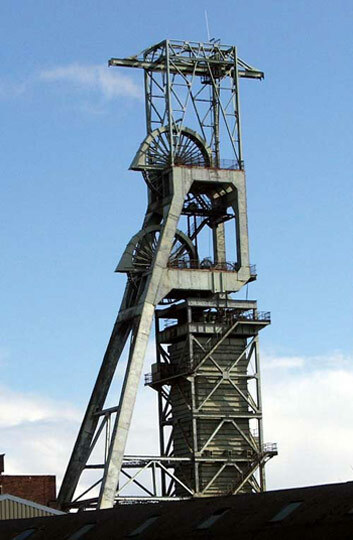 preserved as a fitting memorial to the history of Clipstone and it's Miners, and Clipstone could have it's own 'London Eye'. I am trying to find information about Joseph Smith and his son Thomas who were living at Talbot Street Pinxton Derby around 1900 and who's occupations are given as Miners, Brook Hill Colliery is close by and it is possible that they would have worked there up until 1910 when they left the area for the South Wales Coal fields, also any information on the Bunting Family. My Hubands grandfather was trapped in a mining disaster in the 30s. He died from a tumour on his spine caused by this some time later. My husband never knew him because his mother was only about 7 when he died. He lived in Hemsworth and worked in one of the mines but we do not know any details of the pit he worked in. His name was Joseph Crean and he moved from Ireland to become a miner. He was trapped for 3 days before he and a few others were rescued. Can you give us any information, I know it is a long shot. The only Joseph Crean I can find was injured at Sutton Heath,	St Helens, Lancashire, owned by Sutton Heath and Lea Green Collieries Co Ltd but this was 11th June 1907. Arm caught by box. Lived at 46 Thompson Street. Accidents where 5 or more lives were lost. Joseph has not been mentioned in any of these disasters but as he did not die at the scene his name might easily be missed. Hello I am researching family history and have found my relative Hugh Booth was killed in a firedamp explosion on 11 Nov 1846 at Sparrows Pit Fenton, (I understand Sparrows Pit was also known as Oldfield Colliery) I can not find any more information on your site just wondering if you could help. The town of Fenton lies in the south of the Potteries, Staffordshire. John Smith of Golden Hill, Fenton, granted a 22 year lease of mines on Golden Hill and Fieldswood farms in Fenton to Josiah Spode in 1802 and was himself mining in the area in 1818. The pits were evidently in the hands of William Hanbury Sparrow between the late 1820's and mid-1850's. I have just been on your site which I find interesting. I have come across in the “new” section about a gentleman by the name of Eric Minard, who worked at Ilkeston Miners Rescue, he also mentions a Harry Newton, who is my uncle. I am wondering if he ever worked at Underwood Colliery (Pye Hill as I believe it was later named). My name is Joy Sharp (maiden name Newton). My dad worked at Underwood and his name was James (Jim) Newton, he lived in Brinsley. He died January 1963 whilst working his shift. I would be grateful for any information.